The Life of prayer in the Purgative Way, is the first water that St. Teresa talks about in The Life. There are four waters, and the Purgative Way is the first water. She explains the analogy of the well, where we are doing all the work; this is the Purgative Way form of prayer that she talks about in The Life, Chapters 11 to 13. For growth in the art of prayer, two things are necessary: desire it and have determined determination. Never give it up. A Benedictine Father once said so well, ‘Until we are convinced that prayer is the best use of our time, we will never find time for prayer.’ There’s always going to be something to do. There’s no end to being busy, and until we are convinced that prayer is the best use of our time, we will never find time for it. 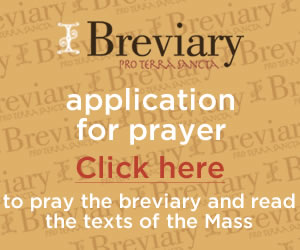 In the Purgative Way, especially as it develops in the Third Mansion, prayer mostly looks like, practically speaking as a basic and firm anchoring into the Liturgical life of the Church. In more common terms, you’ve got to have your Magnificat; without it, you’re disoriented. The prayer books, the prayer life of the Church and the daily readings anchor you. In beginning, you develop a unique cultivation of sacred Scripture, and are starting to actually open the Bible, read it for ourselves, and explore what it might mean. Knowing the Word of Jesus is the foundation of a prayer life that is coming to know the heart of Jesus. Also, the beginner in the first three mansions cultivates ordinary love and prayer through a personal relationship with Jesus. This teaching is from Father Datius, an Indian Carmelite father who has since gone to the Lord. He died recently but gave a lot of retreats. He says this about cultivating ordinary love and prayer, and a personal relationship with Jesus. ‘We start at reading the areas in sacred Scripture’ – meditating in the areas of Scripture which speaks to us directly in God’s love for us in a personal way. ‘Meditate,’ which means reflect calmly; that’s what meditation is with Christians, and it’s different than Buddhists. ‘Reflect calmly on God’s loving presence in our life.’ Throughout each stage of our life, God’s love was always there. Reflect on that. You can even use the rosary to do it as your vehicle. ‘See how God has been as a provident provider and lover in every phase of your personal history.’ He’s always been there, always providing, always bringing you out a bind, picking you up on your feet again, and wiping off the dust from a fall. Also, a person can journal, begin to write about their spiritual life, and start to learn better about how God is working in their life by writing it out. Sometimes, God can speak to us in our hearts as we write. We can also be developing gospel friendships and being careful about the company that we keep because whether it’s good company, it rubs off and if it’s bad company, it also rubs off. This stage of prayer in the Third Mansion is what’s called an Affective Prayer, and as Saint Teresa would call it, the Prayer of Simplicity. Affective Prayer means a prayer of the heart is beginning to start. This means love, praise, thanksgiving, adoration, the sentiments of repentance and surrender; an intercession that is empathetic, that has empathy for those you are praying for. You really like praying for others from the heart and feeling where their needs are, suffering with them, and rejoicing with them. St. John of the Cross refers to this Prayer of Simplicity as Active or Acquired Contemplation. It’s a prayer that can be taught and involves our effort. It is not yet infused supernaturally, and doesn’t yet have the more the direct inflow of God’s spirit. God alone can take us beyond this form of prayer into Prayer of Recollection, or what St. John of the Cross calls, Initial Contemplation, which starts in the Fourth Mansion. The transition from natural prayer to the more supernatural prayer, a deeper communion with the Holy Spirit, begins in this fourth stage. May God, in His great mercy, bless you.